Religion pray rosary beads believer. 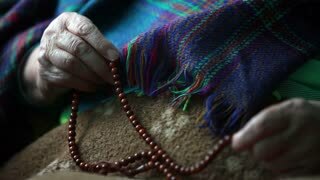 A faithful man, a believer, praying God with a rosary in his old wrinkled hands, whispering a prayer. Profile shot. Black background.